The Chambers Thesaurus is a veritable treasure-trove, including the greatest selection of alternative words and phrases available in an A to Z format. Modern vocabulary sits alongside archaic, and technical terms, formal language and slang are all covered. The Chambers Thesaurus sells more copies, and contains more synonyms, than any other English thesaurus. The 5th edition (2015) retains the much-loved features of The Chambers Thesaurus, but also includes a new two-colour Word Lover’s Gallimaufry, showing how English words and definitions have changed in recent years. The Chambers Thesaurus is now the UK’s number 1 selling hardback thesaurus. It is regarded as the thesaurus of choice for crossword setters and solvers, and is popular with players of wordgames such as Scrabble® and Words With Friends®. It is famous for its Scottish heritage, its thorough coverage of obscure words and its unique personality. 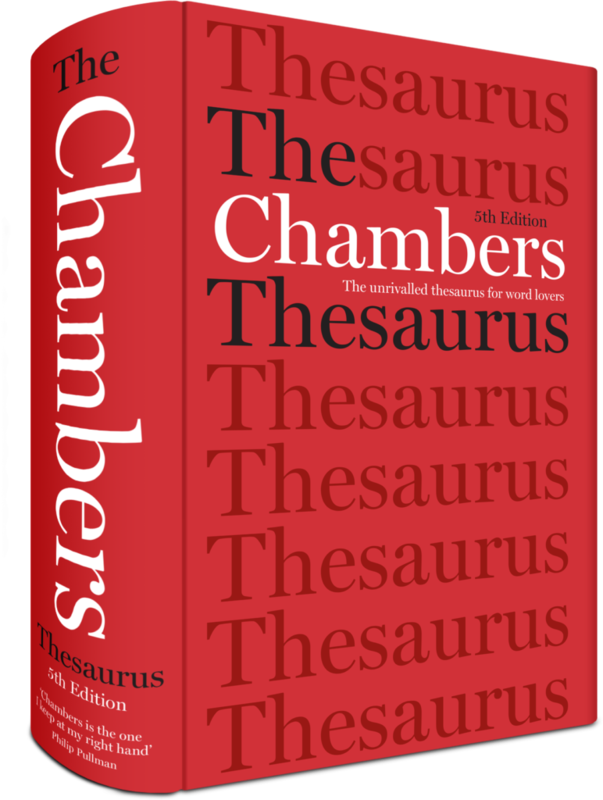 The Chambers Thesaurus draws on the resources of its companion volume, The Chambers Dictionary, to offer the richest range of synonyms and antonyms available, making it a must for writers, puzzle and wordgame enthusiasts, and everyone who loves words. This edition has been updated with new vocabulary and includes hundreds of quotations and proverbs, helping you add sparkle to your writing and making the book even more of a pleasure to browse through.